Unfortunately, this is not a new concern. We’ve heard about this before and the reports of incidents continue. 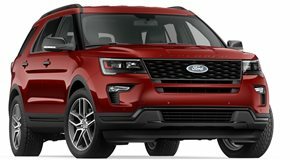 The most recent of which, courtesy of Bloomberg, reveals that 3,000 Ford Explorer owners are claiming their SUVs are exposing them to toxic levels of carbon monoxide gas. The Explorers in question were built between 2010 and 2018. Originally, this troubling issue seemed to affect only police officers who drove the Explorer Interceptor. Some police officers were getting sick and the problem was later traced to a possible CO leak into the cabin. Unfortunately, the complaints did not stop. One Explorer owner could not understand why he was suffering from migraine headaches, fatigue, dizziness, and erratic behavior. A blood test revealed he had been exposed to toxic levels of CO gas, levels consistent with someone who had been in a house fire. Only his house wasn’t on fire. But he did have a 60-mile roundtrip daily commute to work in his 2017 Explorer. So far, US Explorer owners have filed over 50 legal claims against Ford. The NHTSA began its own investigation in 2016 and later expanded its probe after finding "preliminary evidence” of elevated CO levels in some driving situations. Ford took these claims seriously. It even sent its own engineers to the homes of affected owners to investigate. They found no traces of the toxin. Another Michigan owner threatened to sue Ford under the state’s lemon law but is now negotiating with Ford to buy the vehicle back. Since mid-2016, Ford has bought back around 100 Explorers "as goodwill gestures” to "certain customers,” according to a Ford spokesman. But there are still others who are having similar issues with their fifth-generation Explorers as the NHTSA’s and Ford’s investigations continue. If a recall is deemed necessary, it would cost Ford a lot of money because it would include 1.3 million vehicles. If that’s necessary then fine, Ford has in the past made similar large and pricey recalls for some of its most popular models, including the F-150. But here’s the problem: neither the NHTSA nor Ford can find the exact problem, assuming there is one. There have since been a number of lawsuits against Ford, some of them from police officers, claiming their Explorers made them sick. Given everything, there clearly seems to be some sort of design defect that needs to be fixed. Ford needs to get to the bottom of this and, if necessary, announce a recall or some other solution soon. "Explorers are safe. Owner complaints to Ford and NHTSA have decreased and we’ve found Ford’s complimentary service to address exhaust odor effectively resolves the matter. If an owner continues to have concerns after the service is performed, they should contact their dealer for further inspection." The original Bloomberg story also stated one of its reporters rode with an Explorer owner alleging carbon monoxide problems. This owner also installed a portable C0 detector in his SUV to check for elevated levels of the gas. During the 76-mile test drive near the owner's home in Michigan, one of the two detectors registered only tiny amounts of C0. The other showed zero. For 2012 Ford is putting a four-cylinder engine in the Explorer. It's more fuel efficient, but is it powerful enough.